I have wanted to 3D print a chess set for some time. Of all the models I’ve found for 3d printed chess pieces, this is my favorite rook so far. 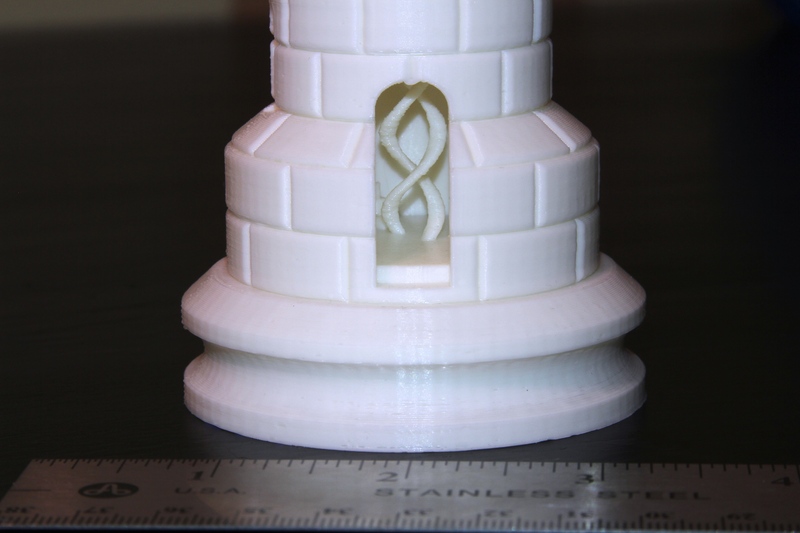 This was printed a little larger than usual to show off the impressive details like the spiral staircase and the double-helix twist in the center.